Cut 5 – 6 scraps of co-ordinating fabric to form a 5cm (w) x 20cm (h) strip. Sew the edges of the fabric together to form the strip. 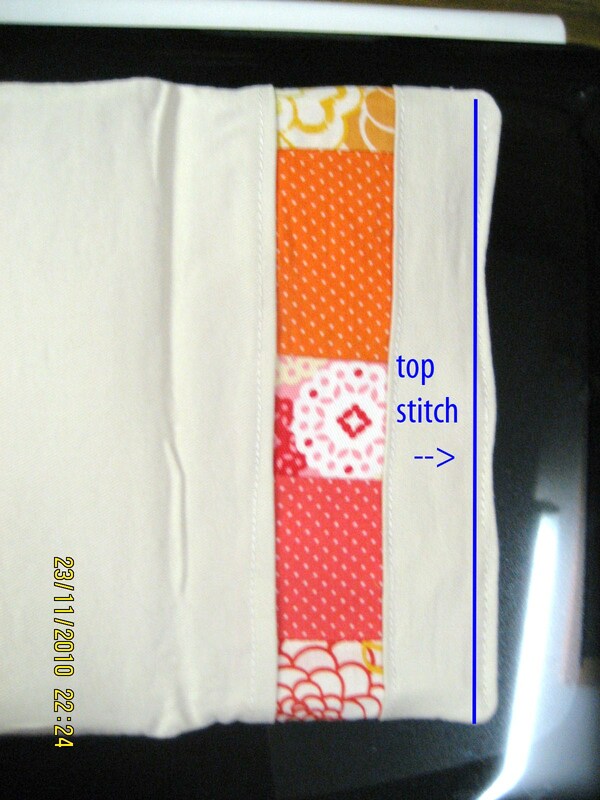 Pin the patchwork fabric to ironed edges of the outer rectangle fabric (refer to diagram) and TOPSTITCH both sides. The patchwork strip should now measure 3cm. Now iron on one rectangle of interfacing to the wrong side of the outer cover fabric. Iron a rectangle of interfacing to the wrong side of the inner fabric. Cut out the 2 foldable card slot rectangles. Refer to diagram. Fold and iron along the lines to create ‘pockets’ for your cards. 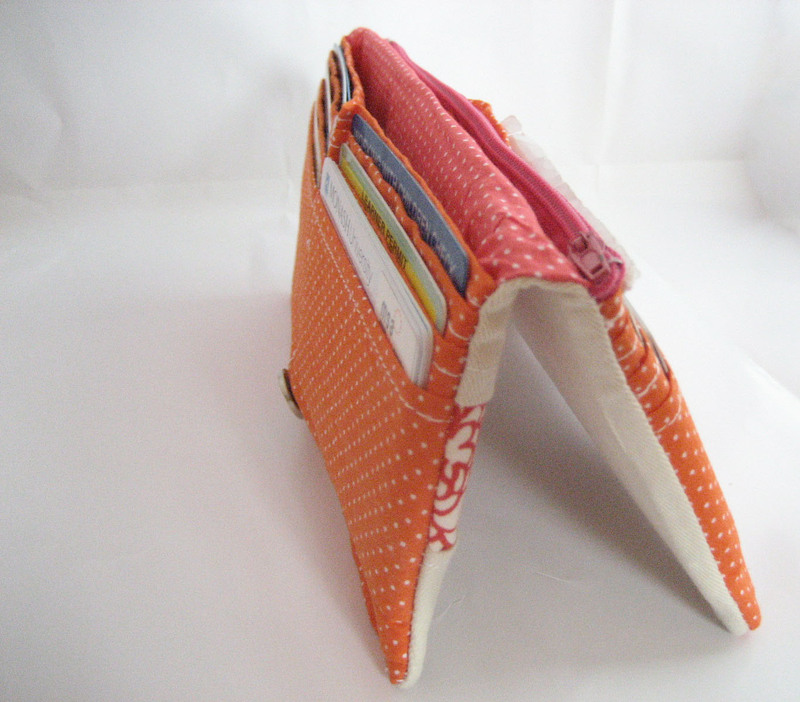 It has been bought to my attention that I have posted an incorrect picture for the credit card slots folding! VERY VERY SORRY. This was my first tutorial and I haven't need to make a wallet since so have not double checked - but will add it to my to do list. The new measurements are 9cm-6cm-5cm-6cm-5cm-6cm-5cm-9cm = 51cm total not 51.5cm. It should look like the diagram. 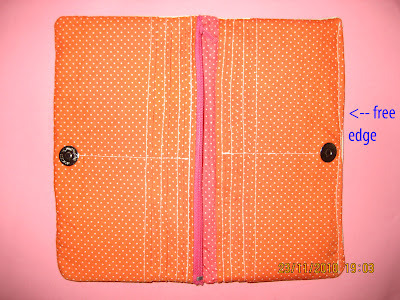 Place two cards on the foldable card slot fabric. Measure 9cm from the top and fold under the cards. Now grab the fabric below the cards and fold the fabric up until it covers most of the cards. Now pull the cards out and iron. Repeat until you have four rows of card slots. Make sure there is 9cm left at the bottom. Repeat so that you have two of these. Grab the interfacing for the card slot fabric. Slip one piece in between the different card slots (refer to diagram). Once all the interfacing is ironed on it should look like this at the back. 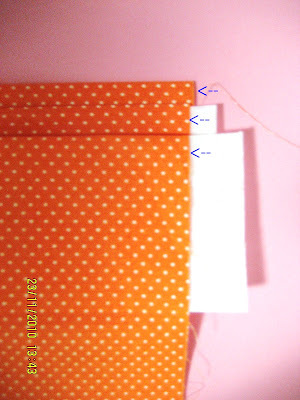 Now flip the card slot fabrics so they resemble card slots and topstitch across the top of each slot. Once topstitched it should look like the picture below. 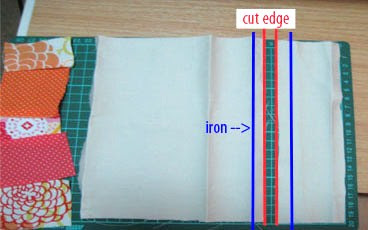 Now sew a straight line down the middle of the card slot fabric and down both of the edges (as close to the raw edge as possible as this is just to hold everything in place). Repeat for the other card slot fabric. 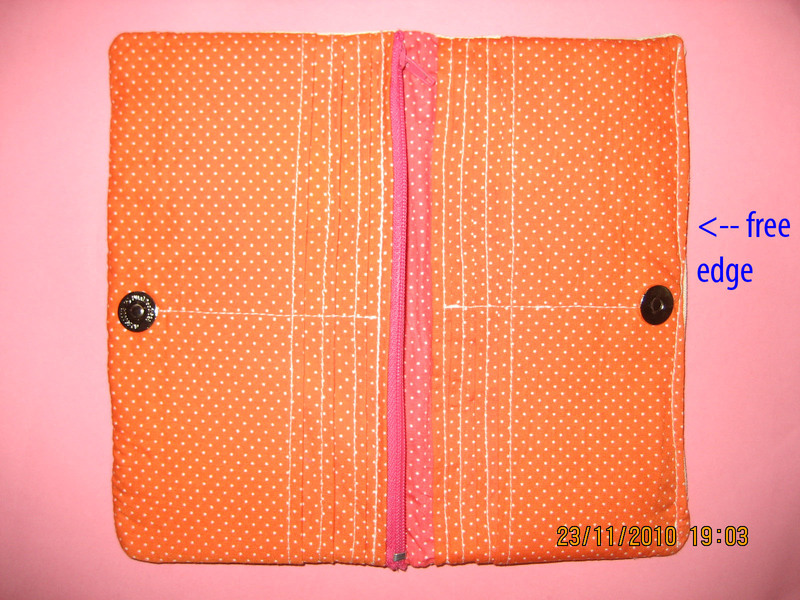 Grab the zipper pocket fabric. Iron down a 1cm ‘seam line’ from the top edge (long edge). 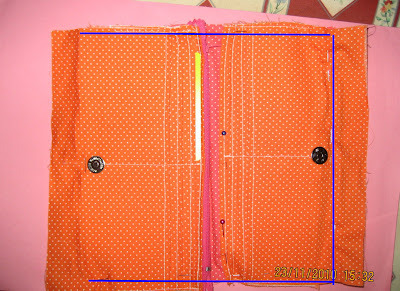 Grab the zipper and pin one edge to zipper pocket fabric and the other side of the zipper to one of the card slots fabric. Now sew along both sides. Keep zipper closed and iron most of the way up – leaving about 3cm from the end. Now repeat for the other side. Place the two card slot on top of the inner fabric rectangle. Baste around the card slots onto the inner fabric along 3 sides – as close to the raw edge as possible. This now forms part A. Turn the wallet out and make sure there are no holes or visible seams. Now turn it in on itself again and trim all the raw edges to reduce bulk. Turn it out and press it realllllllly hard to make it 'sit' nicely. Now grab the free edge and fold them in on themselves. 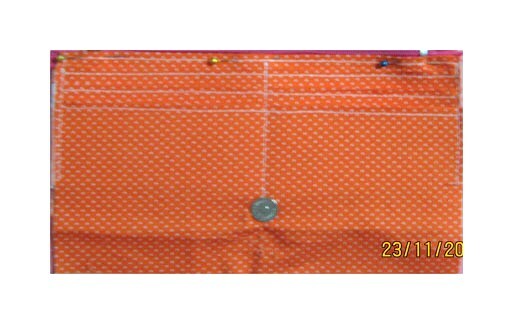 Topstitch the free edge as shown in picture. Thanks for the tutorial! This looks like such a great project for a gift! Thanks so much for sharing and have a great time in Japan! You make it look so easy! I'm new to sewing but really love this tutorial. hanks so much for sharing! Love the fact that the main card showing is a spotlight card. Well done for such a great and easy to read tutorial, now I just need to follow it and make one. this is super cute but i feel its lengthy...!!!! Thanks for a great tutorial. It's a better pattern than the one I've been using. optimal tip ... thanks for compartinhar. This wallet is uber cute! This is my very first sewing project ever...I've been told this is a bit ambitious for my first try, but I love this pattern and I need a new wallet so i am just going to take it slow. I do have a question though. I am on the step for making the credit card pockets and I can't figure out what I am doing wrong. When I make the folds and put it together, all of my pockets are on top of each other instead of lined underneath. 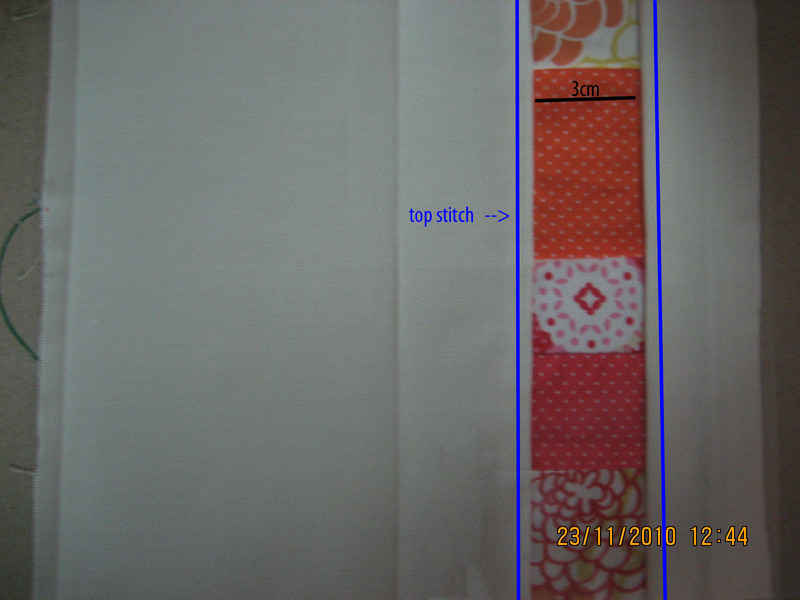 I tried just measuring with a card, but then I dont have enough fabric left for 9cm. on both ends. What am I doing wrong here? Someone help! Mel, thanks for the tutorial! I am going to make such a wallet soon. I'm new to sewing and I was wondering what you meant when you listed foldable card storage as a material; Does this just mean that you used a foldable fabric? Also, what kind of fabric would be best to use for this project? In regards to the type of fabric to use I'm by no means and expert but cotton fabric seems to work well with interfacing. But if you're not too sure about it maybe go for some heavier weight fabric and forgo the interfacing, like canvas or denim or courderoy but your sewing machine may thoroughly dislike you for it,as you will have to sew through many many layers. Sorry for the delayed reply but if you have any more questions feel free to ask. Hope it turns out well. Please send me a pic when your done. Thanks for the great tutorial!!!! I'm definitely going to make this! I've posted it in my blog!! I LOVE this!! I am really excited to try it! Although I highly doubt mine will turn out this cute, I'm not a very experienced sewer. But I do need a new wallet and I've been struggling to find a cute one with enough pockets, so I'm going to try this out as soon as I find time! About how long does it take to make? Thank you for sharing!! Thanks for stopping by and commenting. I'm not very good at estimating time, just because I am a very slow sewer and I'm generally bad at estimation. I like to take my time and my old sewing machine didn't enjoy all the layers I was feeding through it which led to lots of unpicking! To be honest it probably took me 5-6 hours because I was drafting and taking photos at the same time as well. But I would say 3 hours probably once you've read through the instructions? I would love to hear back from you and see your finished product. If you have any more questions or are unsure about any of the steps feel free to ask. Great tutorial, especially for your first one! How'd you know I need a new wallet? Great job. Thanks for sharing! so creative... thanks for sharing! Thanks for the post. I love hearing that people are giving this a go! I have just grabbed a piece of paper and check the measurements. As I usually just do the second lazier method instead of using a ruler so I can visualise how much card I want to see. Try folding (going down) at 9cm-6cm-5cm-6cm-5cm-6cm-5cm-9cm. Please send me a link/email with your finished wallet or any other queries so I can post your wallet and improve the tutorial. Should the "card slot" pieces also be 22cm? It says 20, but I am about to put the interfacing on them, and the interfacing says 22cm, but the card slot is only 20cm... please advise.. I am brand new to sewing. Thank you for stopping by! It seems like you have picked another one of my mistakes. *blushes shamefully* The card slot interfacing width should be 20cm as well. So should the zip pocket fabrics and interfacings. The interfacing rectangles for the card slots should also be be 6cm height, I forgot to update it when I changed the card slot fabric details. So very sorry it have made your first sewing project so challenging! I figured it out :) When I am new to stuff (cooking, sewing etc) I am so literal...as for following patterns recipes etc (drives my husband nuts!, lol).. I finished it last night, and it is awesome! Certainly shows that I am "new" as not everything is perfect on it, but it turned out pretty nice considering! Love it! TY so much for posting such a thorough tutorial! I am so happy to hear that despite my mathematical problems you were able to get through the tutorial and make your very own wallet! Thanks for the email - I will share your version with my readers very soon. And thanks again for all the wonderful feedback - I'm sure that anyone else who attempts this tutorial will be grateful for them. Sorry for all the confusion I'm sure I caused you! I'm certain that you will be complemented on your gorgeous wallet, and I'm even more certain people are going to be shocked when you tell them that you tackled this after only 1 hr at the machine! Very honoured that you picked my tutorial for your first one. I saw this on Cut Out and Keep over a year ago.... it's all identical. Wow. You could at least credit the site. Pathetic. I'm sure you meant thief, but regardless before you post baseless accusations on blog posts about thieving the first thing you should do is check your evidence. The picture I use on both sites - this one and cut out and keep is exactly the SAME. The cut out and keep version credits this one as an original project with a link. The profile on cut out and keep links you to this blog and my profile on this blog in the top right hand corner mentions my cut out and keep account. Also lets discuss pathetic, if you want to comment something nasty on someone's blog at least have enough conviction in your own statement to put a name to the face, a anonymous post as 'theif' is a little pathetic. Thanks for stopping by, hope I cleared it up for you. Love this! I've been sewing for several years, but have never tried making a wallet before. Just finished this one up, and I love it! I'm sure I will be the envy of all my friends :) Thanks so much for posting this! Thanks for stopping by and commenting. I'm glad you chose my tutorial for your first foray into bag making. One you get a hang of the basic techniques it gets easier, I promise. I would love to see some photos of your wallet if you have any so I can feature it as a version of my project to inspire others. Wow! Great tutorial. I already sew a wallet before finding your tutorial but made some mistakes. Your tutorial is very clear and the pictures help a lot. I already had another wallet cut ready to sew and I'm pretty optimistic it will work now that I read your tutorial. Thanks for sharing. Thanks for stopping by and commenting. I'm horrible at explaining things with my words, and as they say a picture is worth a 1000 so I tend to have very picture heavy tutorials just to ensure that when my words fail people will have the pictures to figure out what's going on. Good luck with your wallet making - nothing is more satisfying than making a functional item that you can be proud of! This wallet is exactly what I was looking for! I'm currently at the stage of sewing the zipper to one card slot piece and one zipper pocket piece. I don't understand how the zipper pouch comes to fruition. Does the zipper open to the interfaced lining? 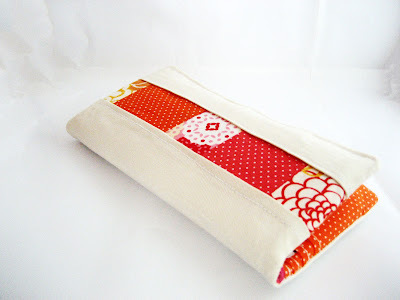 or is there another piece of fabric that should be lining the inside of the zipper pouch. It looks like I'm just sewing the second card slot piece on top of the zipper pocket. This would unzip to the interfaced side of the fabric. I'm a little confused. I'm so sorry for the late reply on this. I just saw that you had commented as there's been a lack of blogger notifications! How did you go with the zip pocket? The zip pocket does open onto the interfacing of the credit card slots and the other zip pocket fabric. I didn't line it as my sewing machine had broken a few needles trying to go through the layers I already had. If you wanted to add lining to the inner side of the zip pocket I would get a piece of fabric about the size of your folded credit card slot piece and sew it along the top of the credit card slots right side together and then turn it over. Grab another piece of fabric the same size as your other zip pocket fabric and sew only the top, right sides together and then turn right side out. Then when you attach the zip you will be sewing along to already neatly hemmed sides. Thank for stopping by and commenting. I would love to see your version of the tutorial! Thank you so much for this tutorial. 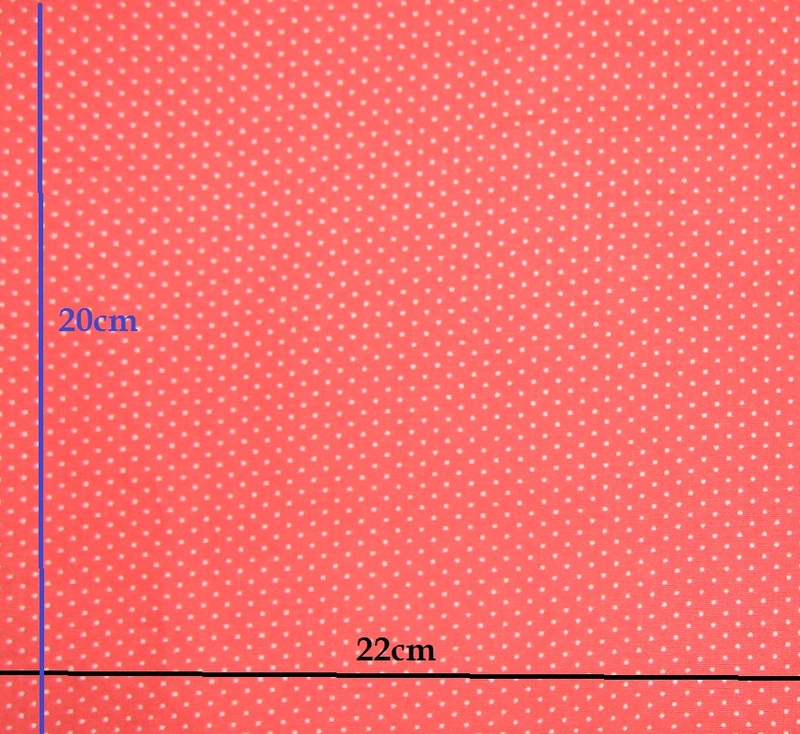 I have a question though, since the slots are 6cm and 5cm now and altogether there are 6, how many interfacing rectangles will I need, 3 for one piece? And what should they measure 20cm by 5cm or 6cm? Thank you again:-)Looking forward to completing this cool little wallet. You will need 3 interfacing rectangles for 1 piece. 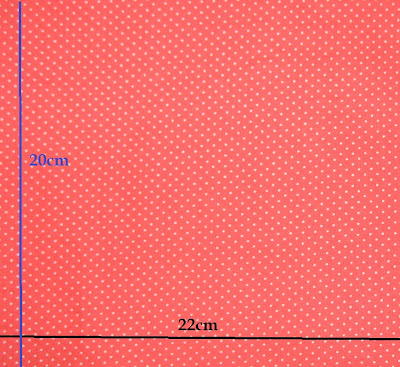 They should measure 20cm x 5.5cm, they will be ironed onto the 6cm sized rectangles but if you cut it a bit shorter it will help reduce the bulk in the seams. Love your wallet and your tutorial! After 6 months of it being pinned on my board, I finally made it, and it's truly the most wonderful wallet I've ever had. I did do a few modifications (elastic/button closure), and wrote a post about it on my blog here: http://colormedomestic.blogspot.com/2013/01/the-perfect-wallet-diy-fabric-wallet.html. Thanks so much for being my guide! Thanks for posting this tutorial! I love the wallet I made for myself! Does an iphone fit into the zippered pocket. I'm looking to make a wallet that can also hold my phone :) Can't wait to make this, it looks great! Thanks for commenting. The zip pocket would definitely fit an iphone but if yours is bulkier with a cover than just measure it up against the zip pocket rectangle fabric and alter accordingly. The best part about DIY-ing is that you can custom it exactly for your purposes. Can't wait to see yours. The best DIY I've seen! What weight of interfacing should be used? If you only baste in the last couple of steps, isn't this going to fall apart under pressure? Thanks for stopping by. My wallet has held up with no issues with just a final basting around the edges. What kind of interfacing should I use? This is what I've been wanting to make...you are the only tutorial I've found! YAY! But I'm in the US and I don't understand cm's so I will have to sit down and convert it all one of these days. Looks fun to make! Need one of those. Only the magnet will wipe the magnetstrip on the cards. 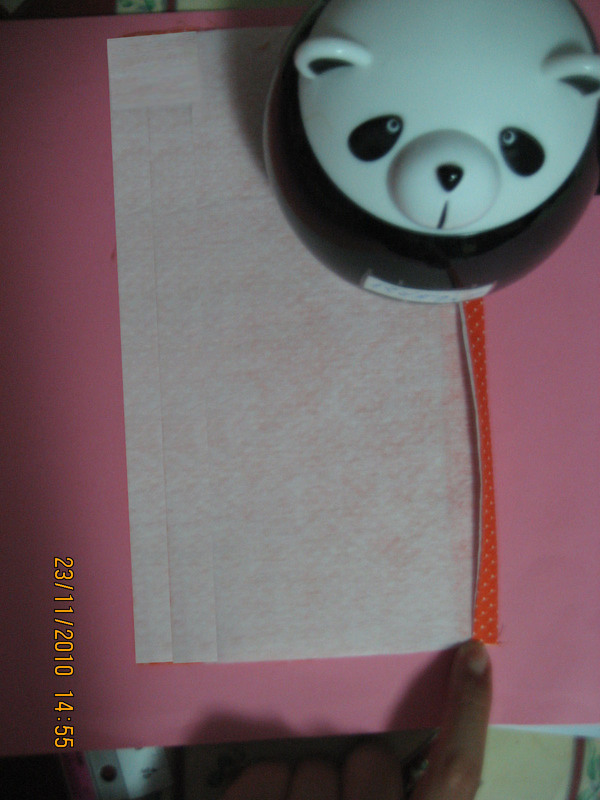 the fabric for the card holders is cut longer than they need,isn't it?I found it 9 cm. too long. 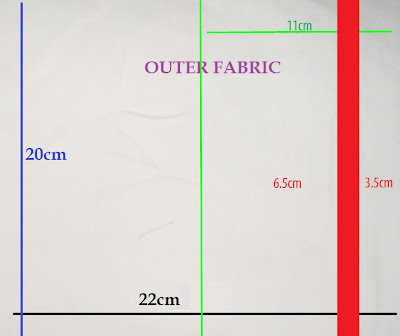 Are the measurements for the outer fabric correct? My 3.5 cm wide strip is looking much smaller than the strip in the 2nd picture of that section. Love this wallet! I first saw it on Color Me Domestic. I followed the link to your tutorial. I'm working to covert to inches; so far so good. I'm working slowly but I think I'll be really happy with it once I finish it. I want to carry an iPhone as well so will plan accordingly. May add a wrist strap too. Thanks, Mel. I've just finished my first wallet using this tutorial and coloor me domestic's alterations. while I'm happy with the fact that I have a functioning wallet I'm not happy with what the amount of bulk does to the overall look of the wallet. I think next time I would bring the interfacing in 1cm so it's not in the seams and bind around the edges instead of stitch and turn. Any recommendations on the weight of the interfacing? I have made several hand bags and never seem to get the correct interfacing. Bonita y sencilla wallet, voy a probar su método a ver como resulta la mía. Muchas gracias por tratar de explicar con claridad su tutorial. Love it. Would you please do an update adding the inches beside the cm. Thank you B. Sorry, not really anonymous, but I don't have any of these accounts to sign in with. :) I just wanted to say thanks for the great pattern and tutorial! I finished my wallet last night and I love it! I love this tutorial and the design! Thank you so much! 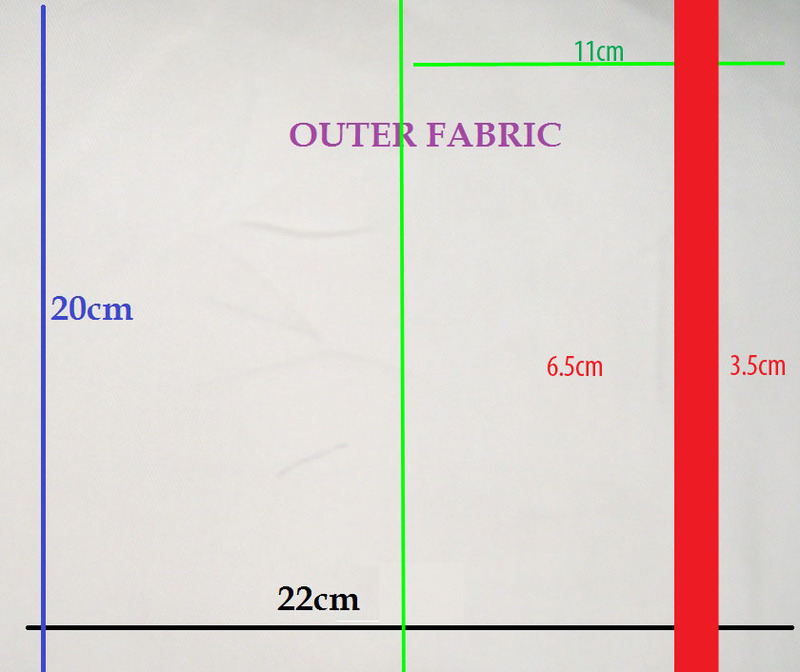 I am confused though, on the difference between the "inner fabric" and the "interfacing". 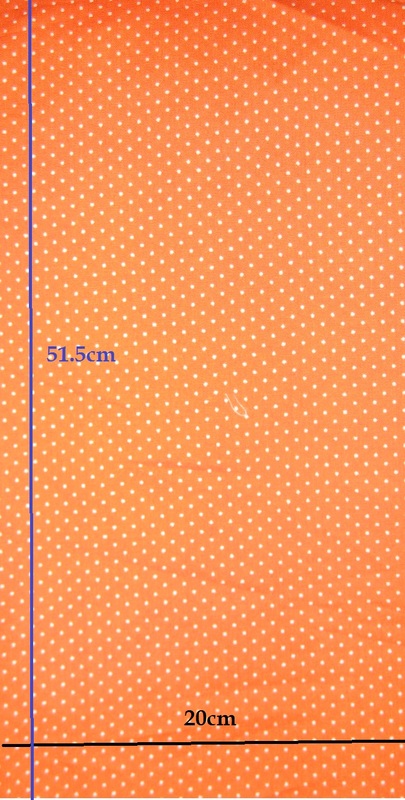 I see that the inner fabric is the red-ish colored with white polka dots, but what is the interfacing for and will you see it at all in the final product? Also, Did you add any type of cardboard of something inside to make it thicker? The final photos look like they are stiff and almost padded. Not sure if ill be able to do it all, but I'm sure going to try! Thanks for stopping by and commenting. 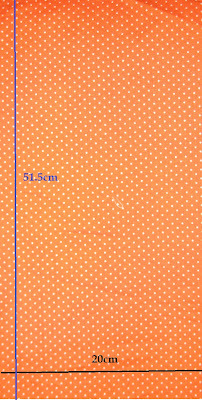 The inner fabric refers to the polka dot fabric, whereas interfacing is an additional craft fabric that can be bought and either sewn in or iron onto fabric to make it stiffer, which would account for the end product looking padded. There is a great picture-tutorial on http://www.makeit-loveit.com/2012/01/sewing-tips-defining-using-interfacing-fusible-web-fusible-adhesive.html explaining the different types of interfacing and how to use it. When adding the snaps, how far up from the raw edge did you place them? can you write the instructions in inches? wow i love that SO much... can i cut and paste it into my blog?? but give u credit, of course??? Display all wallets are attractive for every persons. I am also like those products. Nice blog really glad to have such type of blog to share my comment keep posting like that really appreciated. I love this pattern so much and have made many for friends and family. I made my friend one about 4yrs ago and just finished her replacement. Only being replaced because the original was white and is pretty nasty looking now lol. Had it been another colour it would easily keep going for several more years. Tutorial was fine. Though as an experienced sewer I struggled to understand some of your instructions. Like when you say 'insert magnetic snap' you could at least give measurements of WHERE to place it. Wasted fabric now. I have made this wallet twice now! Wore out the first one. I used colourmedomesic's modifications for the first one and the second one I added an outside pocket as well. I really really like this wallet! Thanks! I was doing an online research on the Advantages of Using Online Editing Services before I landed on this site. I have learned a lot about patchwork and I will definitely buy the material and try making the bags this weekend. I will bookmark this site and visit it occasionally to learn new patch work skills. Thanks for sharing the information with us. Loved the tutorial.Thanks a tonne for this post.Very Well explained. Kudoos!! Hello. I used your tutorial to make a couple of wallets, it's an amazing tutorial! I wrote a blog describing my wallets and added a link back to your tutorial since its the one I used. I hope you don't mind!! These bi-fold wallets are perfectly suitable for modern lifestyle. To see similar collection of men's leather slim wallets visit the link. good explained. learned so many things. commercial restaurant supply parts Online. Cryptocurrency is on decline, it looks, it may crash more and more... It is best time to sell or exchange ethereum to paypal for profit with the most trusted exchange network all around the world. It is something that all the women carry it in their handbags for keeping the money and credit cards so that it does not get mixed up with other important things in bag. Also they can easily find the money and cards whenever necessary. Best wallets for women are then one made up of the leather with compartments for cards, money, mobile etc. I love your blog. It is very informative. You have given a fresh outlook to the topic. We offer elegant Women's Leather Handbags Accessories. The quality of product is mind blowing and we promise that you won't get a single chance to complain.If you want to have the best wallets for women then you surely need to contact us at Miraj International and avail the best of offers and deals that we present to our clients. Great post.Thanks for sharing this article with us.Keep posting!! Unique Leather brand info about some leather material and its benefits for making affective products. Leather quality very impressive and loveable but more collection for leather products like leather belts. Come to buy more leather products. This post is quite informative. You have explained wallet tutorial very easily..
Mens walletsMen's wallets - Get all latest and high-quality leather wallets for men in affordable coast at FashionInGredients.Com, More info visits us. If you are looking for a place where you can get discount designer purses, all you need to do is lay your trust on us and visit us at Miraj International and we will ascertain to provide you with ideal products.